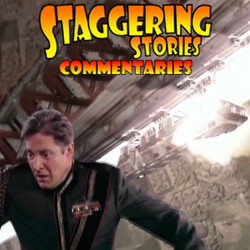 Adam J Purcell, Andy Simpkins and Keith Dunn sit down, exposed, in front of the Babylon 5 second season finale, ‘The Fall of Night’, and spout our usual nonsense! The Lurker’s Guide to Babylon 5: The Fall of Night. Wikipedia: The Fall of Night. 04:26 — Doctor Who: Anniversary audios, books and Christmas Special tie-in eBook. 06:46 — Jonathan Strange and Mr Norrell: BBC TV adaptation. 08:17 — Tron 3: New writer and returning star. 12:09 — Lapcat: Design stolen from Thunderbirds? 13:04 — Daily Mail: Where’s the Pond-like outrage? 14:02 — Huffington Post: Explaining Doctor Who. 14:53 — The Big Bang Theory: Carnal activities in a Police Box. 16:00 – Name That Sci-Fi Tune. 25:04 – Jeff Wayne’s Musical Version of The War of the Worlds: The New Generation. 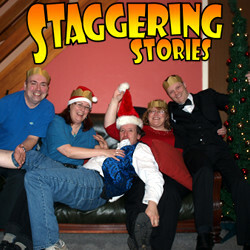 45:41 – Doctor Who: Our Staggering Christmas story. 51:30 – The Hobbit: An Unexpected Journey. 65:37 – Swanee-Kazoo: Christmas Carols. 67:21 – Pass the Parcel: Christmas Sci-Fi Quiz. 83:35 – Farewell for this podcast! 84:59 — End theme, disclaimer, copyright, etc. CBS: The Big Bang Theory. Jeff Wayne’s Musical Version of The War of the Worlds. 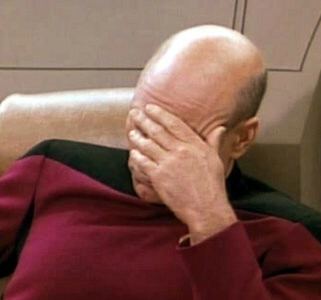 At long last, Captain Jean-Luc Picard’s most private thoughts, his memoirs if you will, have been committed to audio. A big thank you to Siobhan Gallichan for performing the narration and production and, of course, Tim Munro and Nick Cooper for allowing us to bring this to you. 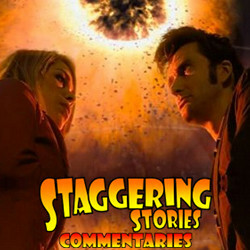 Adam J Purcell, Andy Simpkins and Keith Dunn sit down, bestially, in front of the 2006 Doctor Who story, The Satan Pit, and spout our usual nonsense! BBC: Doctor Who – The Satan Pit. Wikipedia: Doctor Who – The Satan Pit.